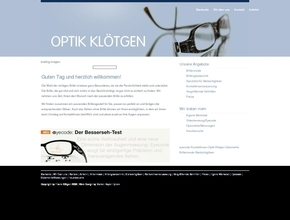 The recommendations of Optik Klötgen are displayed here. In the city-map maps you find 999.710 companies, 14.038 information pages showing lovely places, events, many coupons and special offers. Is your company already registered in city-map? Click here to register for free. Do you want to get even more out of your free entry? You can inform yourself about our developed solutions for companies here.